Mr. and Mrs. Rosen, decided that they wanted their children to know and appreciate the act of giving as there are so many children in need. They decided to partner with Half Moon, A RockResort, mainly because they have been coming to Half Moon for years, (even two to three times a year). When we visited the school (Barrett Town All Age) with the Rosen family, their sons, especially Tyler, wanted to visit each class and sit with the students as if he was a part of the class. As they moved from class to class they were warmly welcomed with joy and laughter from the students. After Tyler and his family left, the students from Barrett Town All Age School decided to write the Rosen family thank you notes. They received the notes on their return visit, March 15, 2012. Their faces ignited upon seeing that they got individual class letters from students who wanted to say a special thank you. Mrs. Rosen spoke of one of her favorite moments when at recess and all the children came out and started to play with her children, she also made mention of the thank you notes they received, her children planned to take them to their own schools and do a presentation. The Rosen’s are also excited about not only returning to Half Moon, but the highlight of their return visit will be bringing more school supplies for Barrett Town All Age School. During the Benzel family visit to the school, they were overjoyed and even sad as they, believed that they should have brought more items, they donated t-shirts, books, pencils basket balls, etc. The dance group at the school decided to do a presentation of a popular Jamaican Folk Dance. The Benzels were excited as the students danced their way to their hearts. The Tellus Group, Canada, visited Half Moon in May of this year. Unfortunately their schedule did not allow them to visit the school. However they donated approximately 96 lbs. 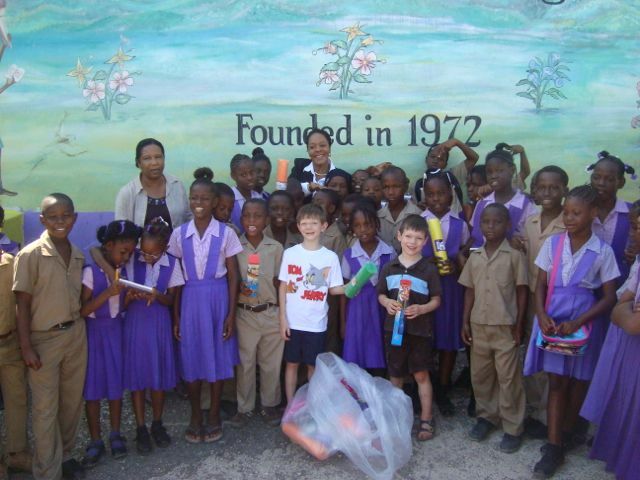 of school items as well as $5,000 USD towards the school’s upcoming library project. 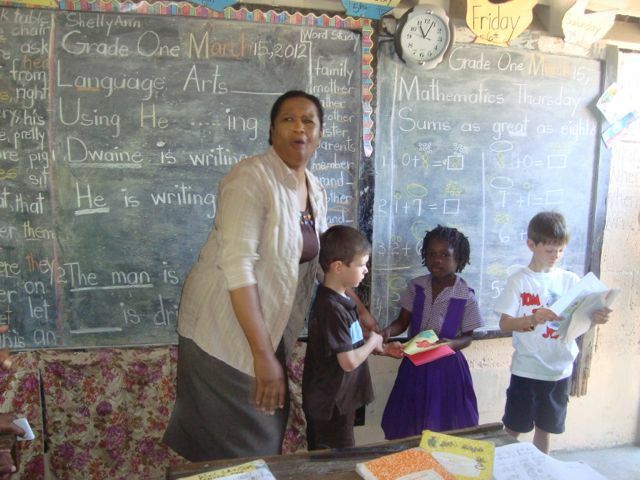 Marian Anderson, an onsite blogger on her return visit to Half Moon decided not only to make it a girlfriend’s getaway, but she wanted to make a meaningful contribution to a local school. 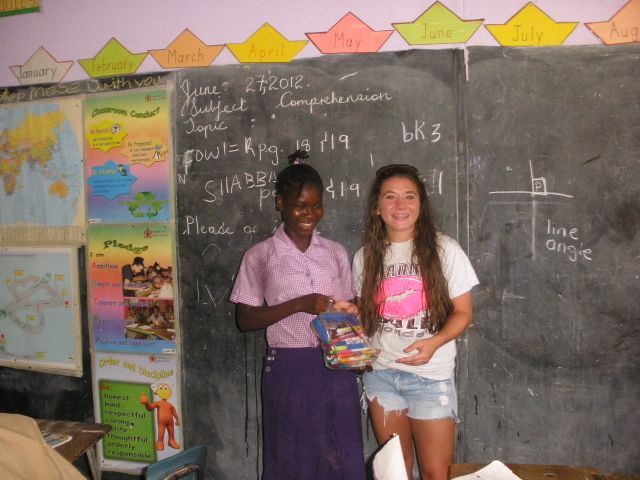 She went online and was encouraged by our Pack for a Purpose programme; as a result, she and her friends made a donation of school supplies and she shared her experience on her site, Haute Travels. In conclusion, since we started the Pack for a Purpose Project and partnered with the Barrett Town All Age School we have nothing but wonderful memories and they have wowed the guest who visited the school. In total since we’ve started the programme we have received approximately 362.12 lbs. of school, first aid and clothing supplies through Pack for a Purpose.